After suffering an early scare from the Capras last weekend, the Hunters will need to make sure they are on their game from the outset against a Bears team who have been playing better than their ladder position might suggest. Last week however, they were outdone by the Redcliffe Dolphins, but will be aiming high against the Hunters and will look to make amends for their 42-6 loss to the side back in Round 8 at Pizzey Park. 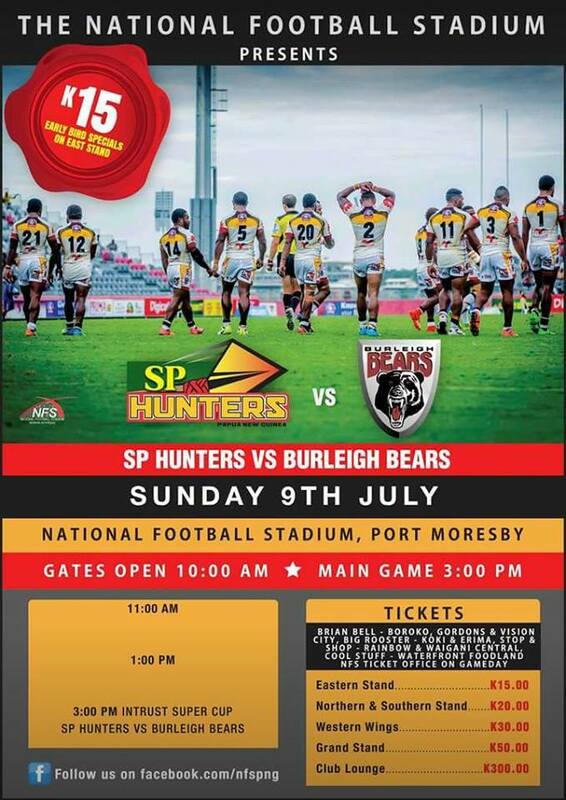 The home side have won all three games between these two sides played in PNG and have won five of their past six home games, with their only recent blemish being their shock 14-10 loss to the Tweed Heads Seagulls back in Round 15. This Sunday, Jimmy Lenihan will coach his 161st Cup game to move to fourth on all time Cup games coached passing Neil Wharton (160). The Bears coach has 80 wins, 5 draws and 75 losses.